Bluster's not so sure that Donkey Kong should automatically be the Future Ruler of Kongo Bongo and wants it put to a vote. The idol of Inka Dinka Doo thinks is a fine idea as well;and "Everyone is in the running;to make the outcome all the more stunning". 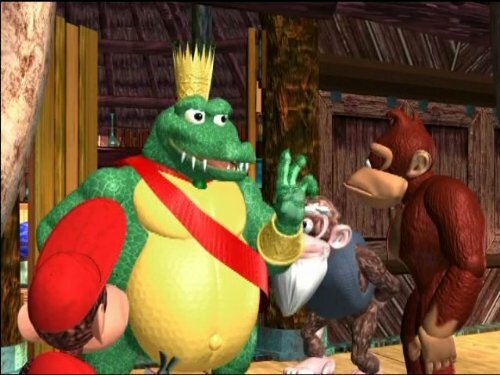 And since "everyone" is in the running;King K. Rool throws his hat into the election ring.While Donkey Kong feels that he will win simply because he's the most popular;Blaster and King K. Rool start campaigning hard. Both have platforms and discuss current island issues. Everybody loves THEM! This reduces Donkey Kong to a smear campaign. Hmmm;wonder what the outcome will be?